Salvatore Esposito De Falco, Professor of Economics and Business Management, The Sapienza University of Rome (Italian: Sapienza – Università di Roma), Rome, Italy. Salvatore Esposito De Falco holds a degree in International Trade and Currency Markets obtained in Naples, in 1993, at the University of Naples "Parthenope". Since 2005 he is an Associate professor at the University of Rome "La Sapienza", where he teaches Economics and Business Management and Corporate Governance. Since 2010 he has acquired the qualification as an ordinary professor in the scientific sector SECS P/08. 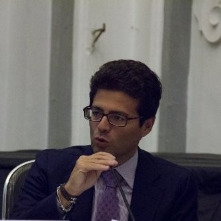 He was Visiting Scholar at the Department of Management of New York University (NYU) Stern School of Business (USA) (2015), at Baruch College - The City University of New York City (2013) and at University of Huelva (2006); Contract professor of "Industrial and Commercial Technology" at the University of Milan Bicocca (2004-2005); Researcher within the Joint Commission State Regions CNR University, of the MIUR-CNR program agreement (2004-2005); Researcher at CNR - IRAT (2001-2004); Contract professor of the following courses: "Business Strategies", "Business Economics and Management", "Quantitative Business Methodologies and Determinations", "Business Economics" at the University of Sannio (2000-2004). The main research areas concerned: Systems and mechanisms of Corporate Governance; Family business and business longevity; Innovation in companies and the relationship between companies and the financial system. His scientific activity was expressed in the publication of 39 journal articles, 25 articles in books, 5 monographs and a number of conference proceedings. He has carried out an intense congress activity, during which he presented, as a speaker, 30 Congress documents (7 participations in international conferences, 13 in national conferences and 10 seminars). Melsa Ararat, Professor at Sabanci University, Director of Corporate Governance Forum, Turkey. 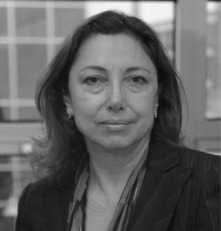 Melsa Ararat is a scholar and the founding director of Corporate Governance Forum of Turkey at Sabancı University. She was a member of the Committee, which developed Corporate Governance Principles issued by the Capital Markets Board of Turkey in 2003 and an advisor to S&P’s Governance Services between 2004 and 2008. Currently a professor of Corporate Governance and Business Ethics, she has a corporate background. She has held senior management and board positions in the Benelux, Singapore and Japan within Philips group. In 2015, Ararat has been elected to the board of governors of International Corporate Governance Network(ICGN). Listed in Marquis Who’s Who as a Life Time Achiever, Melsa Ararat has been actively involved in policy work as a consultant to the World Bank Group between 2004-2015. She is an academic member of European Corporate Governance Institute (ECGI), sits in UN Sustainable Stock Exchanges Investor Working Group’s Advisory Board and Climate Bond Initiative’s Advisory Board. CDP’s Turkey operation, was launched under her stewardship in 2009. Dr. Ararat is also one the founders of the Global Board Ready Women program, the founder of Turkey’s Independent Women Directors Platform, the founder and Steering Committee Chair of 30% Club Turkey campaign and the founder and director of UN PF’s Business Against Domestic Violence Project. Dr. Ararat coordinates IFC supported Emerging Markets Corporate Governance Research Network and sits in the organizing committee of the International Conference Series on Corporate Governance in Emerging Markets. Her work for IFC laid the foundation of Borsa İstanbul Sustainability Index which she remained involved with in various capacities. Her scholarly research is focused on corporate governance in emerging markets and business groups. Dr. Ararat is quoted by Financial Times, Wall Street Journal, Forbes, the Economist, and Reuters and frequently by the daily papers in Turkey. She is a visiting professor at Groningen University, the Netherlands. She resides both in the Netherlands and Turkey and is a dual citizen of the United Kingdom and Turkey. She holds a BSc degree in Chemical Engineering from Middle East Technical University, a MSc degree in Thermodynamics and Phd in Management and Strategy.